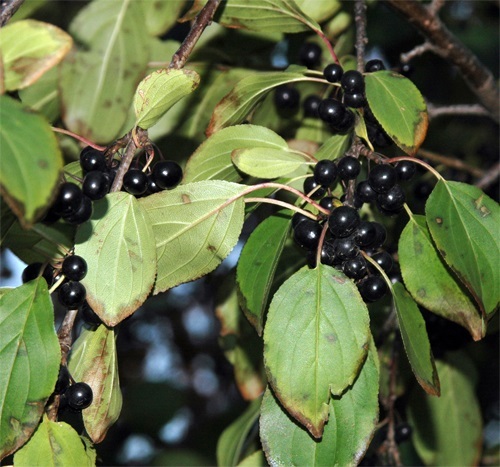 Common buckthorn originates from Europe and was introduced to North America in the early 1800s. It has been to be used as an ornamental tree, a hedge plant, and as a shelterbelt. 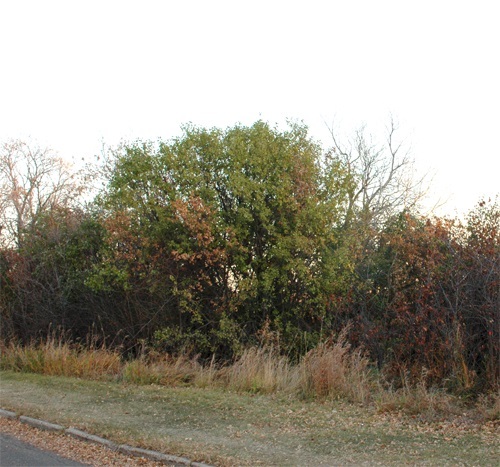 Common buckthorn can spread quickly along forest edges and in abandoned fields. It can form dense stands that shade out native plants. It can also alter nitrogen levels in soils, making the habitat less suitable for native vegetation. 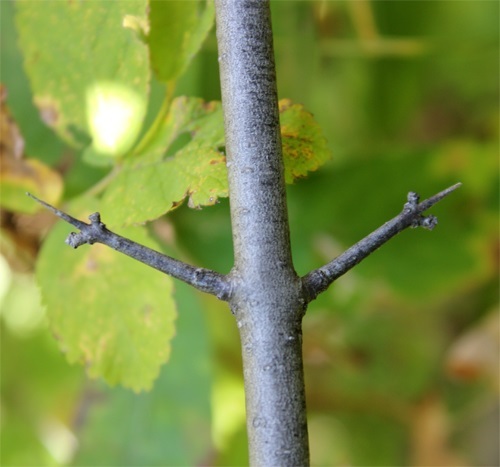 Common buckthorn is also a host for some species of crop damaging fungi. 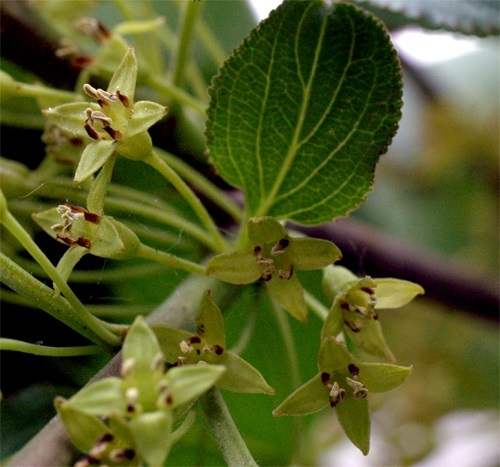 Common buckthorn, also called European buckthorn, is a deciduous shrub or tree that reaches a height of up to 6 m. It has small inconspicuous yellowish-green flowers with four petals that appear in spring. 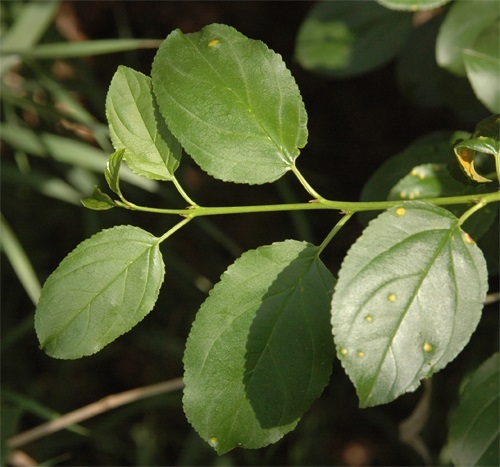 Common buckthorn has simple leaves that are elliptic to egg-shaped and are dark green in colour. The leaves have toothed edges, 5-7 prominent veins and are typically oppositely arranged. The non-edible fruits are round and black with three little seeds. Common buckthorn is one of the last tree species to drop leaves in fall and, therefore, can be easily spotted later in the year.